Aadhaar-based paperless KYC does not require a customer to submit any other documents, according to UIDAI. "Aadhaar verification helps you get instantly activated SIM," the UIDAI added. Over 53 crore new mobile connections have been issued using Aadhaar-based paperless KYC or 'Know Your Customer' verification. This was said by UIDAI or Unique Identification Authority of India - the issuer of Aadhaar number (UID) as well as Aadhaar card - on microblogging site Twitter. KYC or Know Your Customer is a process wherein service providers such as banks verify the identity of their customers or clients. Aadhaar card can be used to avail instant SIM activation. In other words, customers applying for a new telecom connection through Aadhaar-based verification can avail a faster process of activation of mobile connection. 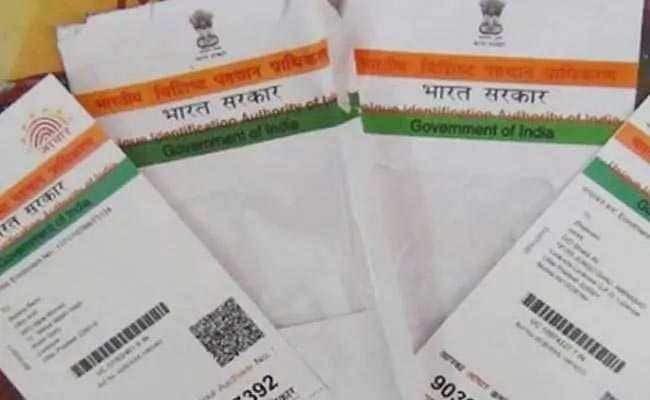 Aadhaar-based paperless KYC does not require a customer to submit any other documents, according to the UIDAI. "Aadhaar verification helps you get instantly activated SIM," the UIDAI added. Individuals looking to update their mobile number fed into the Aadhaar database are required to visit an 'Aadhaar Kendra' or Aadhaar centre. Mobile number update requires biometric authentication, the UIDAI said in a separate post on Twitter. "It (biometric authentication) cannot be done by post or online. Pls visit your nearest enrolment center. To locate your nearby center, visit - https://uidai.gov.in/ and click on 'Enrolment & Update Centres in Banks & Post offices' GST (Approx Rs 30). Mobile number update requires biometric authentication. It cannot be done by post or online," the UIDAI explained. The UIDAI provides several tools online to provide assistance to Aadhaar card holders or Aadhaar applicants. One of these tools allows an Aadhaar card holder to request a change in his or her address given on the personal identification document. The online facility - which can be accessed by clicking on 'Address Update Request (Online)' on the UIDAI portal - lets users request a change or update in the address in four steps: Login with Aadhaar, Address Update Request, Upload Documents, and select BPO Service Provider/submit request. Any resident with a registered mobile number can update the address - fed into the Aadhaar system - using this portal, according to the UIDIA website. Meanwhile, more than 58 crore individuals can now use Aadhaar micro ATMs or automatic teller machines for banking transactions without ATM card or PIN, according to the UIDAI. Aadhaar micro ATMs payment is a new method that provides complete payment solution where an individual's Aadhaar number is enough to make transactions. Aadhaar is a 12-digit unique identity number issued by UIDAI. According to UIDAI, more than 4 lakh Aadhaar micro ATMs are deployed as of now for doorstep banking services.